Trimec Flow Products was formed in November last year when they purchased part of Trimec Industries, namely the MP Series of Positive Displacement meters, as per attached PDF sheet. The MP series of flowmeters have been manufactured for the last 25 years with continuous improvement on the designs and have proven to be an excellent flow meter in many liquid applications. 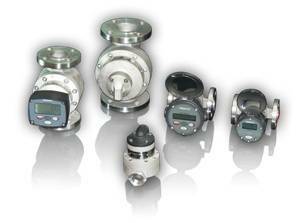 The MP Series MultiPulse flow meters are used for volumetric flow rate measurement in flow monitoring and control applications and for totalizing and batching purposes. The flow meters are suitable for a wide range of measuring flow of clean fluids including viscous lubricants, chemicals, adhesives, resins, paints, food bases, essences, alcohols, edible oils and non-conductive low viscosity solvents. The MP Series MultiPulse flow meters are manufactured in sizes up to 50mm and come in Aluminium, St. St. and for flow rates up 330 LPM. The temperature rating is up to 200 deg C. The high pressure range of MP Series can operate in pressures up to 350 bar. The sanitary stainless steel models are ideally suited for pharmaceutical, cosmetics, de-ionized water, confectionary, molasses, chocolates and dairy products. The UPVC is manufactured in the 20mm size only and is ideally suited for corrosive fluids, such as sodium hypochlorite, acids and photographic solutions. High pressure, sanitary and flanged models are also available. Trimec Flow Products moved the manufacturing from Sydney to Melbourne into new facilities after the staff was fully trained and have been producing the MP Series for some months now.